How do you carry your gear? It’s a question I get asked a lot. My like-minded friends and I discuss varying methods for carrying our equipment on a regular basis. Most of us always agree that how we carry depends on the situation. I typically carry on my person what I deem as the essentials, and supplement that with the equipment I keep in my vehicle. Most of us spend a lot of time in our vehicles and it’s an easy place to store extra equipment. Like many others I choose to keep extra ammo, batteries, lights, multi tools and medical supplies in my vehicle to supplement my daily carry tools. The trick is having those tools and supplies organized in a way where I can access them quickly and take them with me if I have to move away from my vehicle. For the prepared civilian who wants to keep their tools and/or supplies in their vehicle, or staged anywhere for that matter, there has to be a way to deploy those life saying implements. Typically, that comes in the form of a bag or a vest. 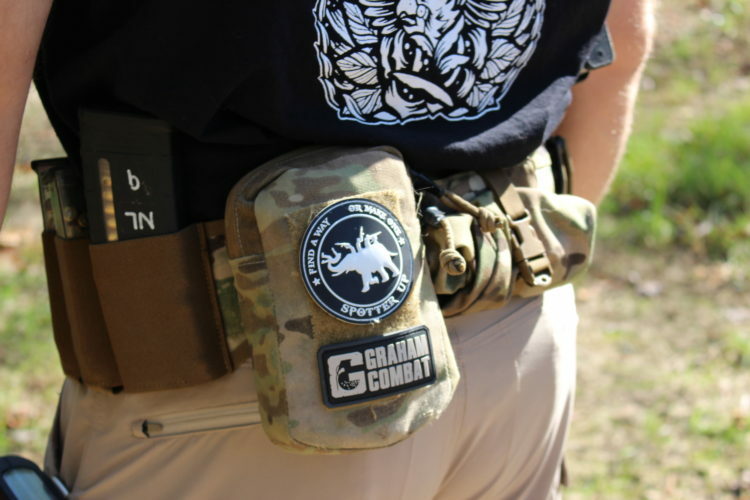 Now a company called Gadsden Dynamics has offered up another option: The Enhanced War Belt. The Enhanced War Belt was designed with the prepared civilian in mind. Gadsden Dynamics created a belt system that is a lightweight, streamlined system that can be rapidly deployed with the ability to be configured in a variety of different loadouts. Carrying your gear on a belt makes for easy access to your gear without adding much bulk. Unlike using a bag, you do not have to sling and unsling it or work zippers to gain access to your gear. It sits right where it would if it were holding you pants up. This can reduce training time and errors of working in and out of a bag. The Enhanced War Belt is extremely light weight and compact, weighing only 10 ounces with the Cobra buckle. Gadsden Dynamics took care to keep the belt extremely thin without sacrificing its ability to handle a full loadout. The thick inner webbing is what gives the belt its stiffness and connects to the buckles on either end. The inner webbing is sewn into the MOLLE outer belt creating a seamless 1 piece system. The outside of the Enhanced War Belt has 2 rows of MOLLE webbing for the attachment of various gear. The inside of the belt has a unique grip-material that keeps the belt close to the body and minimizes movement or shifting of your gear. The thick inner webbing and the grip-material will keep the belt in place even under the weight of loaded magazines, pistol, medical kit and other accessories. The Enhanced War Belt also has 4 plastic loops that can interface with suspenders or harness system. The Enhanced War Belt is a complete system. Unlike its competitors there is no need to buy a separate inner belt or magazine pouches. This helps keep your hard-earned cash in your pocket. With the Enhanced War Belt the only extra things you need to source are the accessory pouches or holsters you prefer to use. 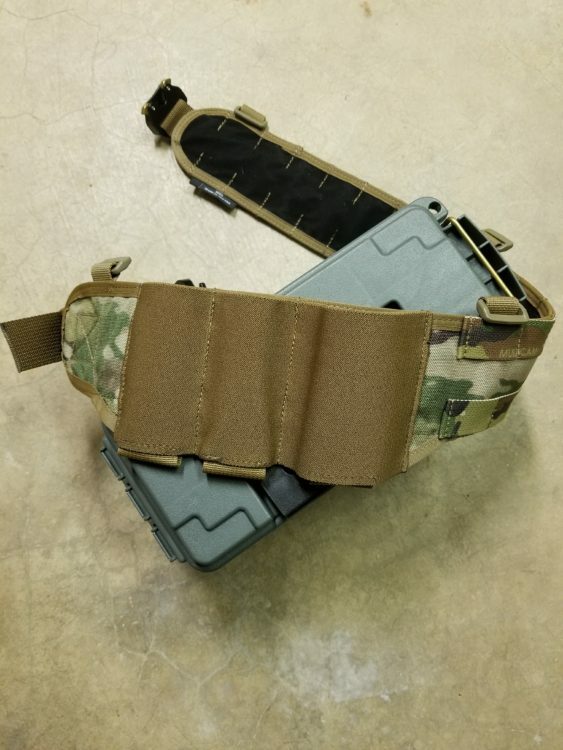 Gadsden Dynamics makes the Enhanced War Belt to order so the customer gets to pick if they prefer 2 pistol and 1 rifle magazine pouches, or 2 rifle and 1 pistol magazine pouches. The Enhanced War Belt can be ordered for either right or left-handed shooters. 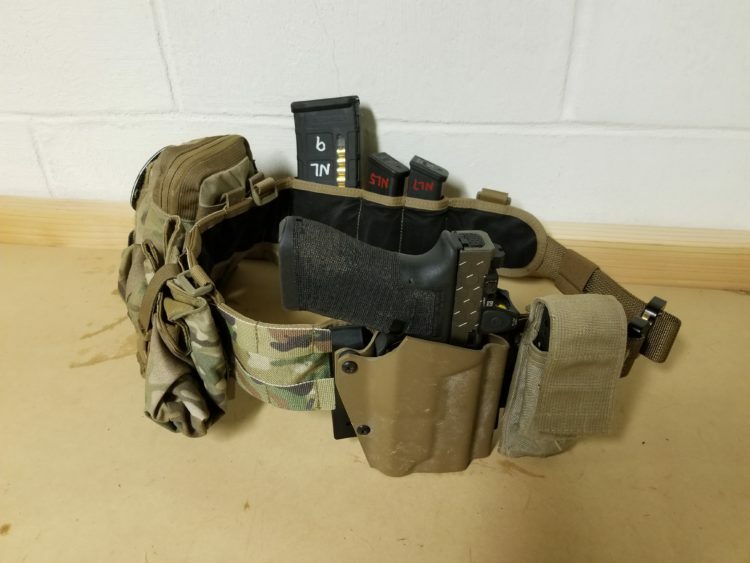 The belt I was given for testing came in Multicam and was set up for a right-handed shooter with 2 pistol magazine pouches and 1 rifle magazine pouch. I set the belt up for range work with a multi-tool, pistol, holster, dump pouch, medical kit, and magazines. You can easily configure the belt to support a vast array of tools/equipment in addition to your magazines depending on your anticipated use of the belt. Grip-material lining of Enhanced War Belt. All Gadsden Dynamics products are made in the USA. The first thing that caught my eye about the Enhanced War Belt was the grip-material. Once you put the belt on it feels like it grips your clothing. It gives you a feeling of security knowing the belt isn’t going to move all over the place. That was quickly vetted on the range during various drills. Throughout all of the moving the belt never felt like it was sliding, sagging, pinching or binding in any way. In fact, the belt was very comfortable. The Enhanced War Belt is extremely fast to put on with the Cobra buckle. The Cobra buckle makes the belt very capable of rapid deployment from a trunk or back seat. It is lightning fast to take off so in the event that you became snagged on something, or encounter a need to jettison your equipment you can easily remove the belt with one hand. The Enhanced War Belt fits well. The fit chart on the Gadsden Dynamics website is accurate. My belt is a medium which according to the website fits 36”-40” waists. I typically wear a 36 in all of my pants and the belt fits me well with a little adjustment. One note about the fit of the belt is the inner webbing (which is attached to the buckle) is sewn into the belt. This means when you tighten the belt the buckle will be offset from your center line. This isn’t an issue as long as you are aware and adjust your belt to sit the way you want. The most obvious departure from other battle belts on the market is the incorporation of their elastic mag retention pouches. The elastic mag pouches help keep the bulk and weight to a minimum while still providing a place to store and quickly access your magazines. The elastic mag retention pouches help keep the bulk to a minimum. The magazines do not snag on the elastic which provides a smooth, consistent draw. The elastic pouches have not stretched out. 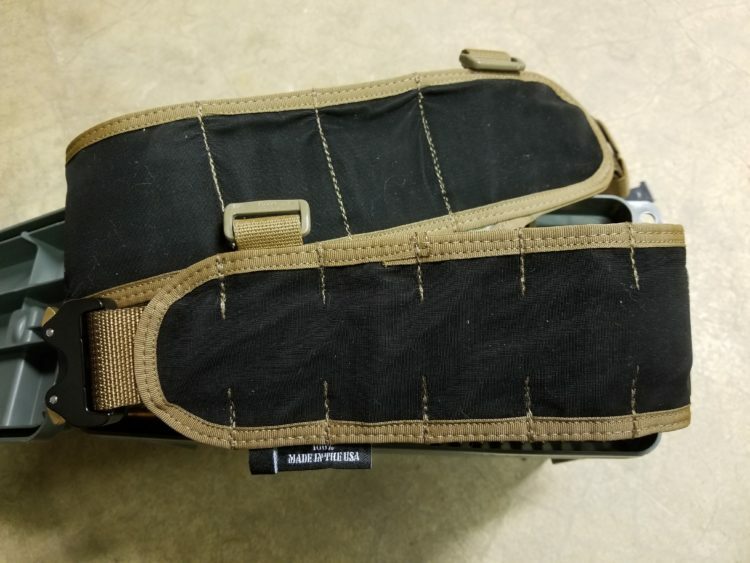 The pouches are durable enough that standard range wear from various prone shooting positions have not compromised the material or their ability to retain magazines. One of the best features of the elastic pistol mag pouches is that they will accommodate any double stack magazine. I even put single stack 1911 magazines in the pouches. While the single stack magazines had a little more play in the pouch there was still enough retention to create an issue. First, the pistol mag retention pouches are very deep. This is excellent for retention of magazines. However, it creates an issue when you need to conduct a speed reload because a standard Glock 17 magazine does not stick out much from the pouch when fully seated. A standard Glock 19 magazine could easily be swallowed by these pouches. That creates a need to carefully stage your magazines with enough clearance for gripping properly during reloads. The good news is the elastic is tight enough to still provide good retention on mags even if they aren’t fully seated in the pouch. Left: Glock 17 magazine and MBX 140mm magazine. Right: Glock 19 and 17 magazines. Second, you cannot quickly place a magazine back in the elastic retention pouches. Depending on your needs that detail should be accounted for. 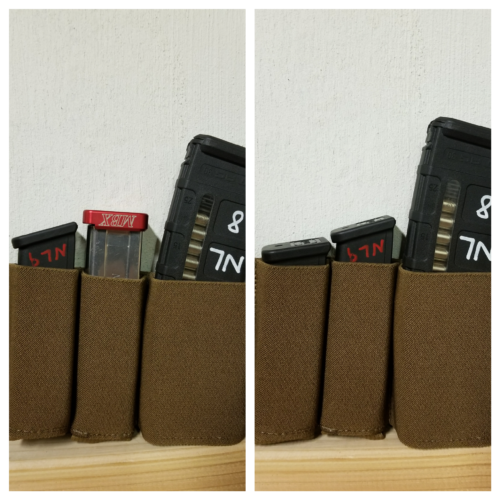 I utilized a dump pouch to store empty or partially empty mags while working with this belt. I rolled it up to save space when the belt wasn’t in use. That could be an easy solution for anyone who is concerned with discarding empty or partially empty magazines. 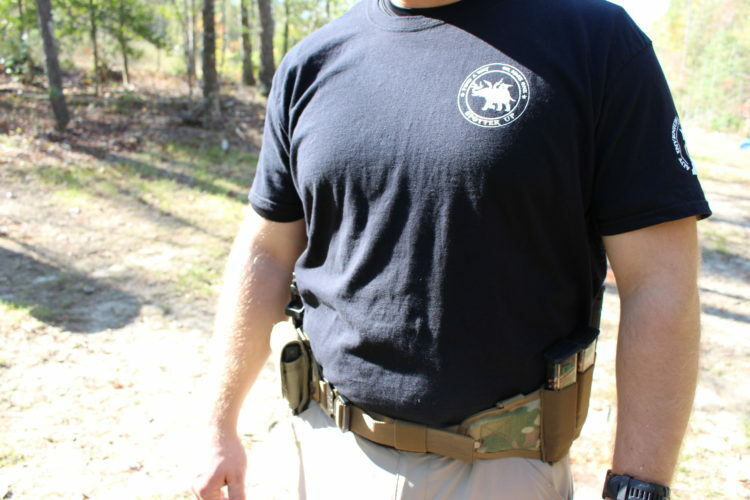 It is also worth highlighting that if you plan on using a holster on this belt it needs to be MOLLE compatible. A standard belt slide holster will not work on the Enhanced War Belt. Gadsden Dynamics geared the Enhanced War Belt towards the prepared civilian who wants the ability to quickly plus up their loadout with ammunition and other tools or medical supplies. Given its simplicity as a one-piece belt system, speedy Cobra buckle, lightweight and slim design it can and it will excel in the rapid deployment first responder role. And it will accomplish that without breaking the bank. 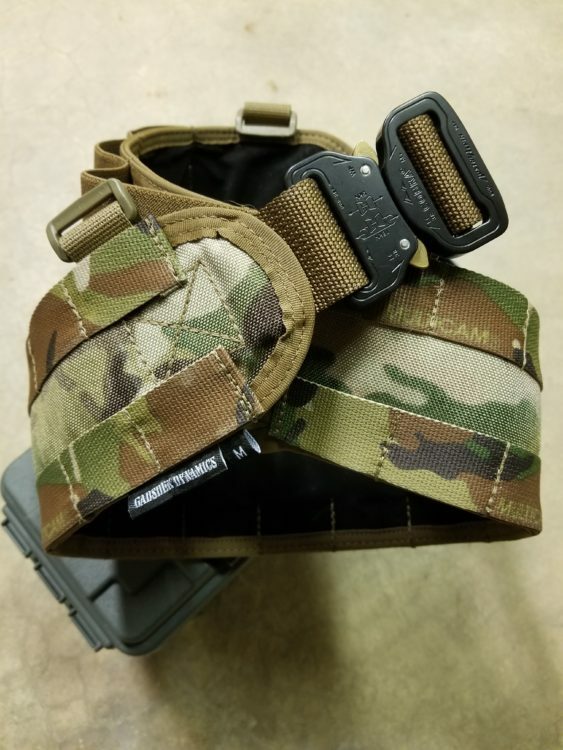 If you are looking for a way to have rapid access to your gear in a simple, efficient manner that can move with you without getting in the way then you may want to consider the Enhanced War Belt from Gadsden Dynamics. Disclosure of Material Connection: I received the Enhanced War Belt from Gadsden Dynamics through Spotter Up. I was not required to write a positive review. The opinions I have expressed are my own. Ready for work. Find a way or make one. 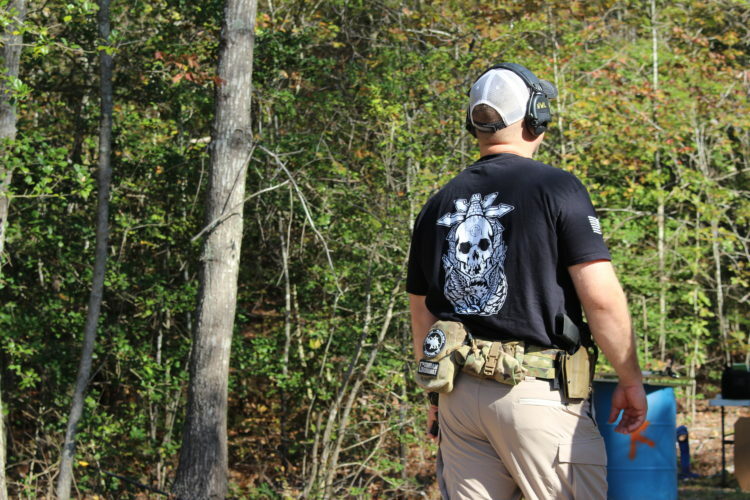 Gadsden Dynamics is a family owned and operated business that manufactures all of the gear in the USA with a stated goal of focusing “on providing high-quality, handmade gear for the prepared civilian. The Enhanced War belt is offered in Coyote Brown, Foliage, Multicam, and Black (more colors / patterns available upon request). NOTE: Our gear is made to order. Depending on order volumes, it may take longer than our standard 2-4 business days for your order to ship. Thank you for understanding, and know that our gear is assuredly worth the wait! The Enhanced War Belt retails for $70 with the ITW Nexus Plastic Buckle and $95 for the AustriAlpin Cobra Buckle.